Faith wristbands, custom religious bracelets, and more. Whether it’s WWJD bracelets, scripture wristbands, or a personal spiritual reminder, our unisex religious bracelets are high-quality and perfect for you, your congregation, or religious event. With our state-of-the-art band builder, you can design your wristbands any way you like. We offer a variety of colors and different sizes, so you can mix it up and make the bands something everyone can wear. Religious bracelets are great for daily reminders, church initiatives, and even fundraisers for local church groups. Make a great daily reminder out of our WWJD bracelets. 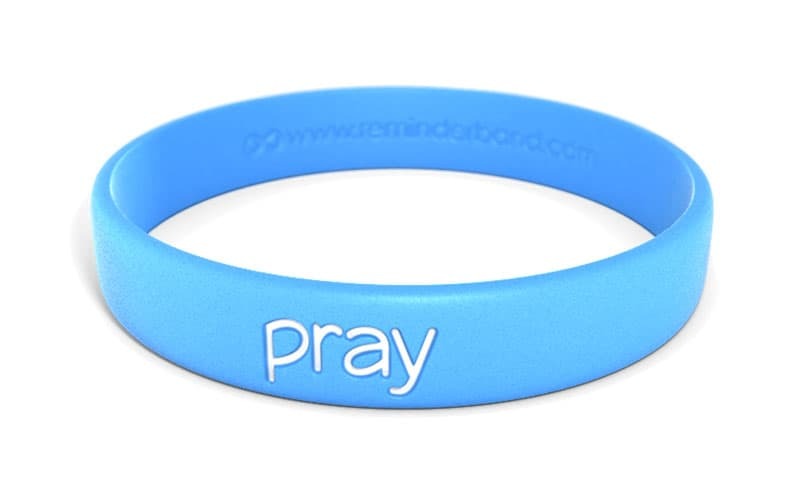 Whether it is for personal use, church congregations, or youth events, WWJD wristbands are a great way to wear a simple message. Choose from a wide variety of styles. Shown below are the white phat band with gold lettering, a dual-layer wristband, contour, and heart. We offer many other styles--all with customizable phrase, font, and color. What a great way to remind yourself of your favorite scripture. One that motivates you and provides peace and comfort. A slicone bracelet with your customized bible verse or scripture is a perfect way to show your friends and family and have a positive effect on them and their lives.